On the surface, Stolo Family Vineyards and Cave Julien Cécillon belong in separate conversations. One is in the middle-of-beautiful-nowhere coastal California, the other is a 10-minute drive from Syrah’s most exclusive real estate, the legendary hill of Hermitage in France. And yet, I can’t help but marvel at the similarities of these two estates and the Syrah they have produced. 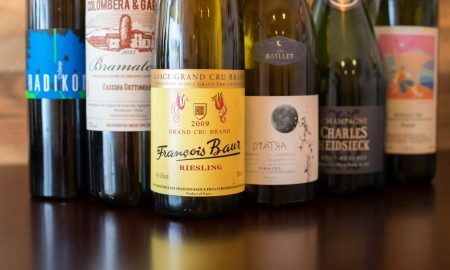 On back-to-back nights this week, I sampled a wine from each, and could not pick a favorite. 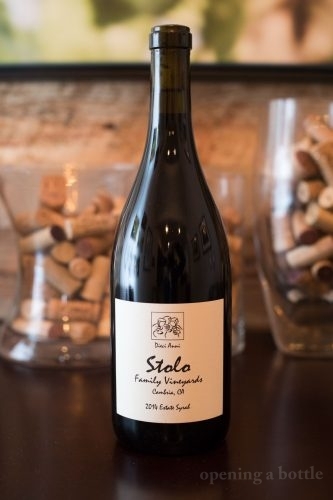 The 2014 Stolo Family Winery Estate Syrah is the kind of Syrah a Pinot Noir enthusiast would enjoy. 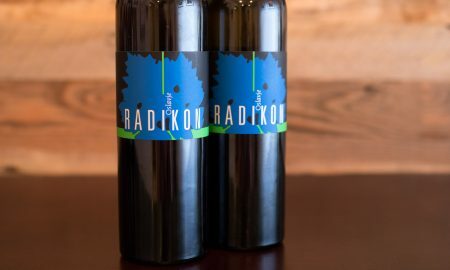 It has that wonderful paradox of the best wines from the Russian River Valley. It is rich yet lean on the palate, yet still unmistakably a Syrah, with power, verve and a velvety texture. On the nose, it conjured a similar mood to Pinot Noir, but at the table it demanded heartier cuisine. 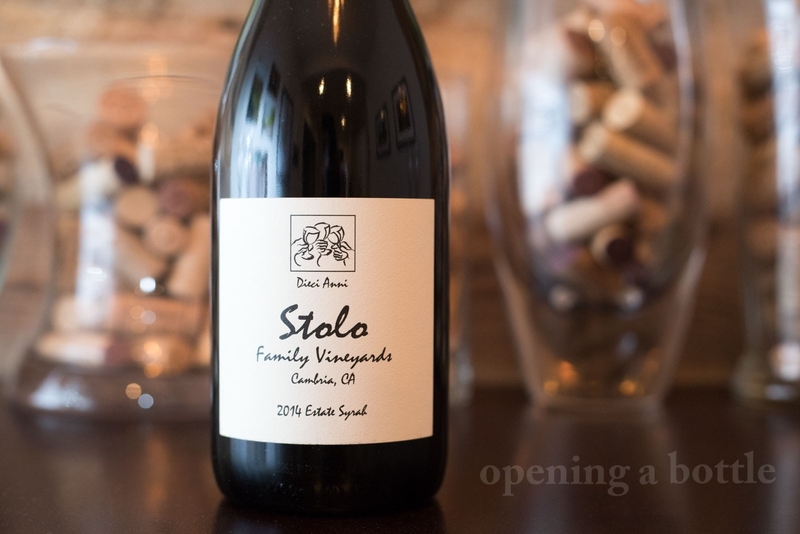 Hailing from the remote Central Coast community of Cambria, Stolo is on a viticultural island. 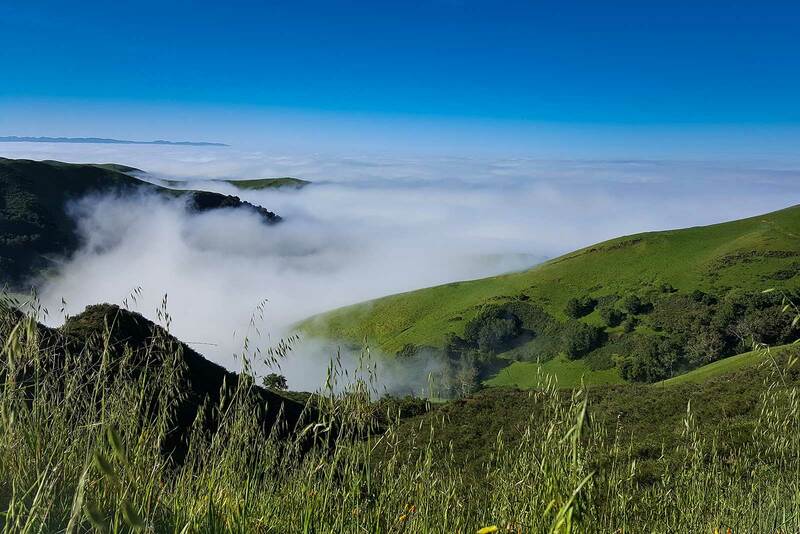 No other wineries are near it, and owner Maria Stolo Bennetti and winemaker Nicole Bertotti Pope — as well as her husband, consulting viticulturalist Lucas Pope — understandably feel that their property has nothing in common with the San Luis Obispo country as a whole to claim status with its AVA. So they just do what they do on this small family farm close to the ocean, and because of their singular identity people are beginning to take notice. The climate is exceptionally cool because of the oceanic influences. Technically, there are Pinot Noir and Chardonnay vineyards closer to the Pacific Ocean up in Fort Ross and the extreme Sonoma Coast, but I’ve not heard of a Syrah vineyard this close. 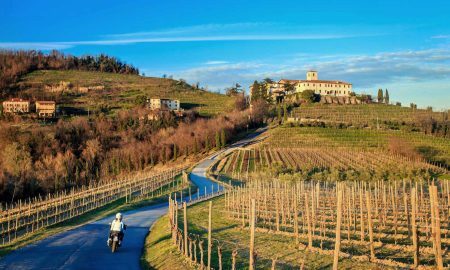 As a result, ripening is “borderline” as Nicole Bertotti Pope puts it in this winemaker interview. Harvesting can take place as late as the end of October, and because of the swings in vintage, they often experiment with whole-cluster fermentation from various blocks, depending on how the grapes taste as they ripen. This — along with a cool climate that keeps acidity high and sugars low in the Syrah berries — yields a wine of exceptional grace and power. 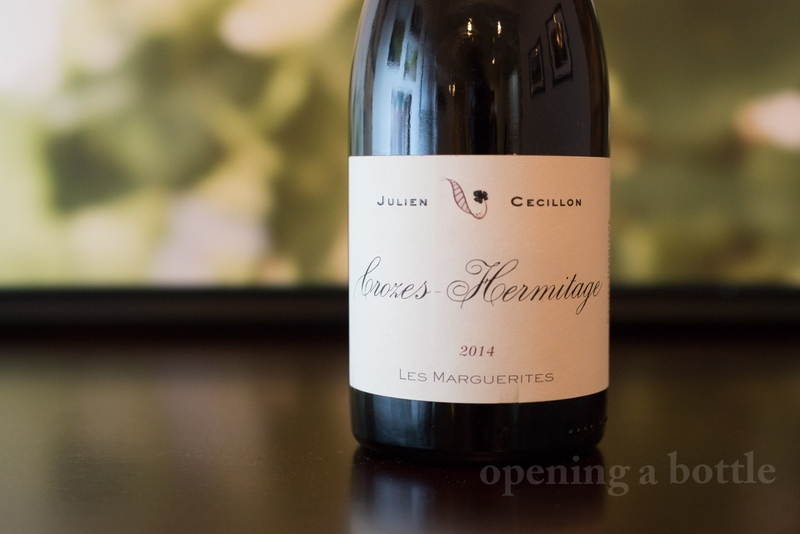 Meanwhile, the 2014 Julien Cécillon Crozes-Hermitage is a Syrah of different terroir but similar disposition. It evokes wild places and outdoor spaces when you bury your nose below the rim. 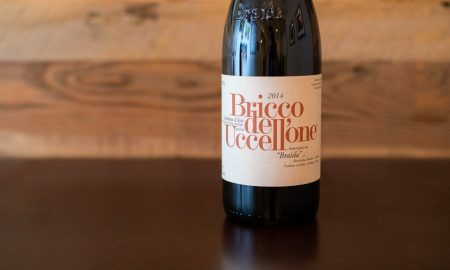 While its fruit tones are more sour plum than ripe blackberry — and the spice profile is more baking spice than black pepper — it speaks with the same persuasion as the Stolo Estate Syrah: I am world-class Syrah and my fingerprints are never the same. Julien Cécillon is emerging as one of my favorite French producers — a bright star in the Milky Way of young French winemakers waiting to be discovered. Like Stolo, the small family operation is run by a young couple, Julien Cécillon and Nancy Kerschen. 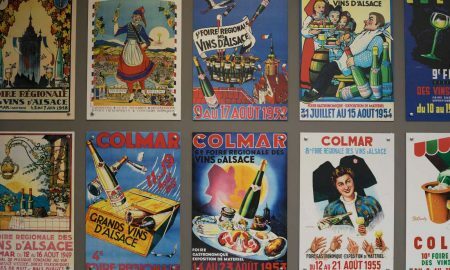 They source grapes from unique and highly sought-after parcels in Saint-Joseph, Saint-Peray and Crozes-Hermitage, 60% of which, they manage entirely. For this bottling — “Les Marguerites” — they source their grapes from 80-year-old vines in a vineyard that lies immediately north of the great Hermitage hill. Ninety-percent of the Syrah is then fermented whole-cluster, a tactic that can lower acidity, increase freshness and add complexity. 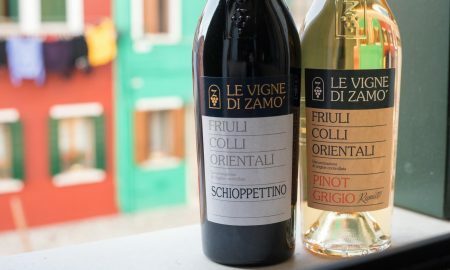 I would recommend these wines in a heartbeat for any New World vs. Old World wine-tasting party. Their contrasts would be worth revisiting. 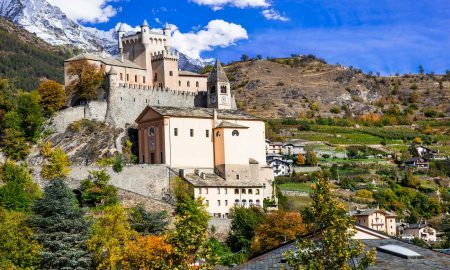 But you need to know another similarity between the two of them: both wines are from small operations and are highly sought-after, making them hard to find. 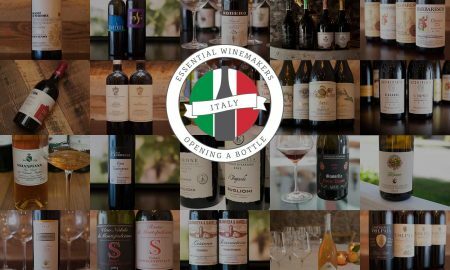 However, I’ve included links below to purchase the wines directly from the vineyard and the importer — I just can’t guarantee that the 2014 vintage will be in stock. But such is the adventure when you choose to pursue wines from small family wineries. It is highly worth the effort. Tasting notes: Dark and inviting appearance; tinged more violet than red. 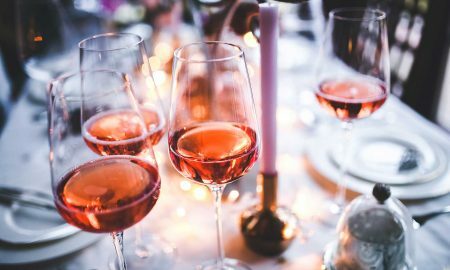 Aromas are potent and linger for a while, recalling blackberries, underbrush, lees, wildflowers and a bit of pencil lead on the edge. 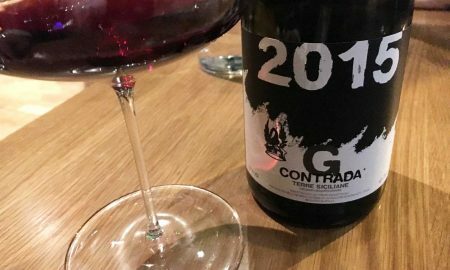 Evokes a sense of being outside in a wet forest, and even has attributes that are more inline with a Pinot Noir than a Syrah. Rich yet lean on the palate, a wonderful paradox. Lasts for a long while on the finish, and is moderately dry. From my experience, one of California’s most compelling Syrah in years. Serving suggestion: Pair with St. Louis-style pork ribs or a lamb burger covered in tzatziki sauce and mint. No need to decant in youth; ready out of the bottle. Tasting notes: This is a wine that conveys a lot of individual notes that sing in a pleasant harmony. 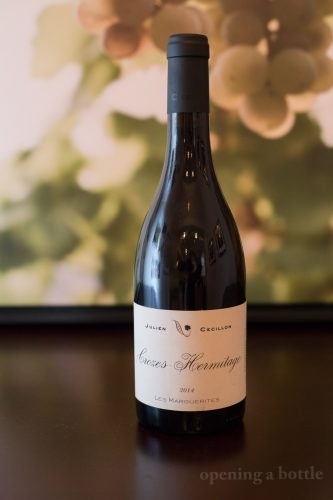 The aromas are delicate and decidedly more savory, conveying sour plum, cloves, violets and underripe blackberries, eventually offering a distinct note of black licorice. Like the Stolo, it evokes nature, and the acidity is focused and refreshing throughout. This is a wine that never fatigues. Serving suggestion: Bacon. Just drink with bacon. Or, if you can access bison, a grilled bison steak with peppers and onions. On the vegetarian side of things, we found it to be a delightful foil for the bitterness of a grilled radicchio and beet salad. No need to decant in youth. Note: The wine from Stolo Family Winery was provided as a sample. The wine from Julien Cécillon was not. Learn more about our editorial policy. Correction: The original article incorrectly stated that Julien Cécillon did not own estate vineyards, when in fact they do manage and run 60% of their vineyards from start to finish. Thank you, Nancy, for pointing this out (April 3, 2018). 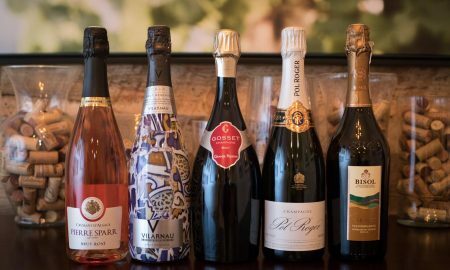 Prosecco, Cava or Champagne for New Years Eve? Or Cremant? A Quick Guide to Your Options.